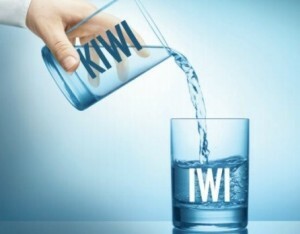 As readers know, late last year the New Zealand Centre for Political Research launched a nation wide public information newspaper advertising campaign to alert New Zealanders to National’s plans to introduce Maori tribal control of fresh water. In the ad, we encouraged the public to contact Members of Parliament and Councillors to express their views. Our ad resulted in floods of correspondence with politicians. Some people sent us copies of the responses they had received, and in general, subtly or not so subtly, government MPs accused the NZCPR of spreading misinformation. “I have been approached by a number of constituents recently regarding the control and ownership of New Zealand’s freshwater. There appears to be some misinformation surrounding this so I thought I would take this opportunity to clarify the situation. “The National-led Government has always had a clearly stated position on this issue, which is that no one owns the water. The Government is currently working with the Land and Water Forum, which includes stakeholders from various sectors, including iwi, to develop a common direction for freshwater management in New Zealand. While Mr Bridges reinforced the fact that no-one owns water, this is a typical political red herring. Our sole concern is with the “control” of water and the fact that for the first time in our country’s history, a New Zealand government is planning to allow race-based interests to control the management and allocation of fresh water resources – instead of retaining Regional Councils and Unitary Authorities, with their democratically elected representatives, as the country’s sole delegated authorities. So let’s look into the veracity of that statement. Irrespective of the law, Maori tribes have continued to claim ownership of fresh water. But since successive governments and the Courts have consistently rejected their opportunistic claims, they have now turned their attention to the ‘control’ of water. According to a Herald report, things came to a head in October 2006, during the Labour Government’s third term in office, when the leaders of some of the country’s most powerful tribes sought Maori control of water. Labour, however, refused their advances, upholding the strong position taken by successive New Zealand governments, that water is not owned, but is controlled and managed by the Crown for all New Zealanders. At the time, tribal leaders were under the impression that Labour was considering privatising water rights as part of a water management reform programme. They considered that if such a property right was created, they had a claim to it under the Treaty, since this was how they had gained a lucrative $170 million fishing settlement. When individual tradeable fishing quotas were created in 1986 as a property right, many tribes received substantial settlements of quota, fishing company shares, and cash. Tribal leaders believed a water settlement would dwarf the fisheries settlement, and with the Ministry for the Environment estimating that the total value of fresh water to New Zealand is now worth almost $35 billion a year, it is not difficult to see what the motive behind these tribal demands really is. While the Labour Government did not, of course, privatise water rights, there are strong indications that National is planning to do so through their fresh water reform programme. Is this what the secretive collaboration between Cabinet Ministers and the tribal elite has been all about – negotiating what National MP Judith Collins has described as a “cash-grab”? If so, it is destined to be the biggest cash grab in New Zealand’s history – to date. National’s concession to tribal demands for fresh water was signalled during the partial privatisation of the State-owned power companies in 2012. It was at that time, that the government’s rhetoric appeared to change. In their submission in response to the Maori Council’s urgent claim to the Waitangi Tribunal to halt the SOE sale and gain a shareholding, the tough line taken by the Labour Government – that there are no Maori rights to water – was replaced with an acknowledgement that there are: The Crown’s Counsel stated that the power company sale would not prevent the government from ‘recognising’ the ‘rights and interests of iwi in fresh water’, even suggesting the creation of new “economic rights over water” in the form of “a levy or royalty”. They emphasised that “recognising Maori rights… may include decision-making in relation to care, protection, use, access and allocation, and/or charges or rentals for water”. In other words, it was National’s partial privatisation of state-owned power companies that exposed the public to this new round of tribal demands for fresh water. However, the government later asked for the inquiry be delayed, and later still, adjourned until the 22nd of February 2016. In their application to the Tribunal they stated, “The purpose of the adjournment would be to allow the Crown and the Freshwater Iwi Leaders Group to work together across 2015 to develop options for the recognition of iwi/hapu rights and interests in freshwater”. It now appears that the government has been collaborating with tribal leaders for more than two years on “policy options for the protection of Maori rights and interests in fresh water”. But while Maori tribal groups have been kept well informed about these developments, the general public have not. Indeed it is ironic, but not unexpected, that when the NZCPR exposed the closed session dialogues, National accused us of misinformation! “The Rule of Law means simply that we shall be governed solely by the law properly enacted after due process and not the arbitrary whim of any person or group. It is at the point of ‘due process’ (the way in which laws come into being) that the Rule of Law intersects with democracy and which together are the guarantors of our civic rights. “It is this crucial and unbridgeable divide between rule at the whim of the despot and his or her cronies and rule by law that we imperil when we permit exceptions no matter how well intentioned. Such an exception sought by a minority of the population to corner rights to fresh water is a classic example of a derogation of the Rule of Law simply because it gives governance over a crucial public good to a small and unelected group to the detriment of the majority. National’s plan to enable tribal groups to gain control of fresh water, will therefore not only entrench separatism in New Zealand, but it will also undermine the Rule of Law. The government has already forced the Gisborne Council to establish a joint resource consenting authority with Ngati Porou for the control of fresh water in their region. Is this their plan for all councils? The Minister for the Environment, Nick Smith, certainly thinks so. He is already committed to “preferential access for iwi in catchment-based processes” and he has stated that he intends to influence councils by issuing “requirements or guidelines” to “regional councils when choosing or implementing allocation approaches or reviews of existing allocations”. It is now clear that by wanting to avoid a controversy at the time of their partial privatisation of the state-owned power companies in 2012, National caved in to the Maori Council’s demands for rights to fresh water. They are now on the verge of not only allocating water rights in perpetuity to tribal interests, but of requiring regional councils to involve local Maori tribes in the management, allocation, and control of fresh water in their regions. But the twist in this is that at the time of their urgent claim to the Waitangi Tribunal in 2012, the Maori Council had already admitted that there was “the possibility that the law may never recognise Maori proprietary rights in water”! In other words, if National had followed the lead of previous governments and rejected all Maori claims for fresh water, tribal groups would have accepted it. Looking forward, questions remain over whether National is intending to privatise water rights to create a tradable market, and if so, whether they will require taxpayers to compensate tribes on a catchment by catchment basis – or whether local tribes will be given the rights to unallocated water to on-sell to the highest bidder… or both? While there are many unknowns about the future direction of fresh water reform, what is clear is that the majority of New Zealanders believe there should be no preferential treatment for Maori, and that the government should be protecting fresh water for all New Zealanders in the national interest. We can expect an update from tribal leaders about fresh water on Waitangi Day, and a discussion document on water reform options from the government in February or March. Finally, it is dishonest if not deceitful, for Mr Bridges and his colleagues to claim that tribal control of water is not the government’s intention, when that has clearly been at the centre of a two year discussion with Maori tribes. Do you support the concept of water rights being privatised to create a tradeable market? When will the citizens who prefer honesty & integrity in government, realize that this MMP system demands the involvement of minor parties who demand honesty & integrity from the Major Ruling Party. This government, apart from two gifted seats held by Minor Parties, only has the sepratist, grab what you can, Maori Party, to keep it in power. Next election, if you prefer a RIGHT leaning Government, think of the consequences before you vote, & Party Vote for the Minor Parties who promote one law for all. We would not have this problem now, if that had happened at the last election. Lets hope it is not to late if it happens at the next election. Don’t blame the problem on MMP, cure the problem with MMP.. A.G.R.